The vintage Ferrari sales, service and restoration specialist. 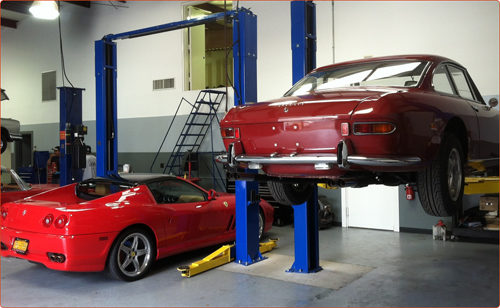 Our wide variety of Ferrari related services coupled with our deep knowledge and expertise has made us a trusted resource for classic Ferrari enthusiasts and owners. 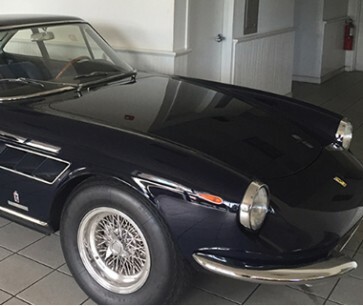 If you're looking to own one of these legendary cars, browser our classic cars for sale section of our website, or call our sales team at 631-283-8819 to make a personal appointment to view our collection. 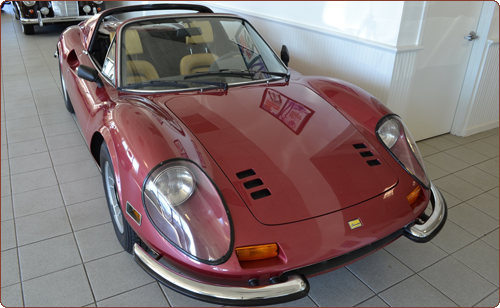 Our portfolio of Ferrari restorations feature flawless paint as well as world class leather and interior work. We have a great deal of knowledge regarding Ferrari's famous V12 and we're experts at adjusting and rebuilding Weber carberators. Furthermore, our mechanical specialists can service and restore your suspension, transmission and electric components as well. The installation of a Tubi exhaust system. A hand made interior for a 1974 Dino including Daytona seats.